A dew covered male slender-footed robber fly (Leptarthrus brevirostris) so named by the slender rear feet found on the males. 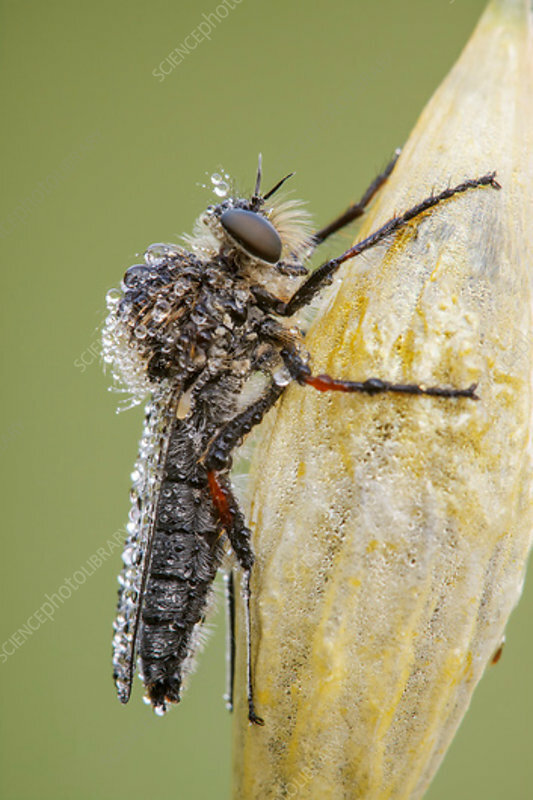 Robber flies are predators of other flying insects, which they ambush in flight. Photographed in Somerset, UK, in May.